Price reduced $1,000,000 on this 4.95+/- acre redevelopment site. Visibility and access to Daytona’s hottest retail corridor, International Speedway Boulevard, and Fentress Boulevard. Several sample site plans – for hotel & retail, and retail only. Nearby similar size redevelopment project by CBL with three Darden restaurants. Current owner is open to do a leaseback on the property until redevelopment plans are finalized. One Daytona retail, dining, and entertainment center NOW OPEN with 12 screen Cobb Daytona Luxury Theatres, Bass Pro Shops, PF Chang’s, Guitar Center, and Marriott Autograph Collection. Walking distance to Daytona International Speedway with pedestrian bridge. Approximately 1.2 miles to Interstate 95 and 5.1 miles to beaches. SVN Alliance is proud to announce the sale of 718-720 E. International Speedway Blvd. The sale closed on September 5th, 2018. The property is located on east International Speedway Blvd. west of A1A on the south side of the road and was on the market for 425 days. The seller was ADJ properties and the closing price was $770,000. Both parties were represented by Tim C. Davis in this transaction. Since the beginning of 2018 there have been four sales along this half a mile stretch of road. This increase of activity surrounding the corridor is what many hope will start a rejuvenation to the gateway of Daytona’s Beachside. 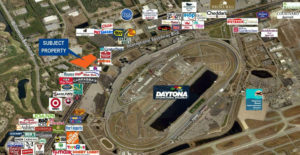 SVN Alliance has just listed 710 E. International Speedway Blvd. for sale. This well positioned +/- 2400SF retail building has 39 ft of frontage on International Speedway Blvd. on the west side of A1A. The International Speedway Blvd A1A intersection sees 40,000+ average daily trips. The building is 37 ft x 63 and has street side parking with a parking ratio of 1.23 per 1,000SF. The surrounding are has seen a tremendous amount of growth with the completion of the new Hard Rock Hotel .83 miles north on A1A and the Landshark Bar and Grill .34 miles to the south. The property is also situated .5 miles from the Daytona Beach Ocean Center and the Daytona Beach Hilton. SVN Alliance is pleased to present this retail property for sale. 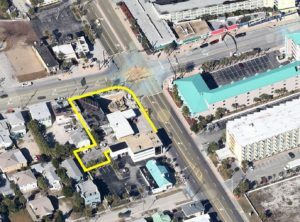 There are 7 adjacent parcels, 2 with improved buildings, and 5 cleared lots along Main St and Hollywood Ave in Daytona Beach FL. The building at 405 Main Street is a 2 ­story retail/office space 5300 SF total. A second building, a small warehouse with apartment above totals 1800 SF. The total land area is just under 1 acre. SVN Alliance is pleased to announce the sale of 850 Woodland Blvd. The parcel sold on Wednesday August 8, 2018 for $195,000 or $13.56 per SF. The sellers listing agent was Tim Davis from SVN Alliance and the buyer was represented by Brian Guyer from ERA Gizzard Real Estate. The buyer plans to develop the land into a flower shop. SVN Alliance is pleased to present this +/- 18 acre industrial and/or flex space development site. 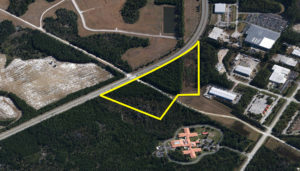 This site has a 6 acre FP&L utility easement on the southern end, leaving ~12 acres of developable land with over 1,750 feet of frontage on Clyde Morris Blvd. The site is current split zoning with M3 and SFR-5 zoning, however the FLU is designation is M3 for the entire parcel. This zoning class has a wide variety of uses, however flex-space or light industrial would be ideal given the immediate market. The surrounding area is experiencing unprecedented growth with projects like Latitude Margaritaville, Tanger Outlets, Tomoka Town Center, and more, all less than 2 miles away. Directly across the street is the a $40 million, 400,000 SF B.Braun Distribution facility set to open in June 2018. SVN is proud to announce that 2226 S. Atlantic Ave. has just been listed. This retail development site is well positioned between the Dunlawton Bridge and the soon to be completed Tom Stead Memorial bridge that will link the nearby Silver Beach Avenue to the mainland. Positioned on the west side of A1A, it is across the street from major beachside hotels and just half a mile north of the new Delta Hotel by Marriott. The site also has a desirable 217 feet of frontage on A1A and 380 feet of depth. This is a prime retail development site on beachside’s busiest road. 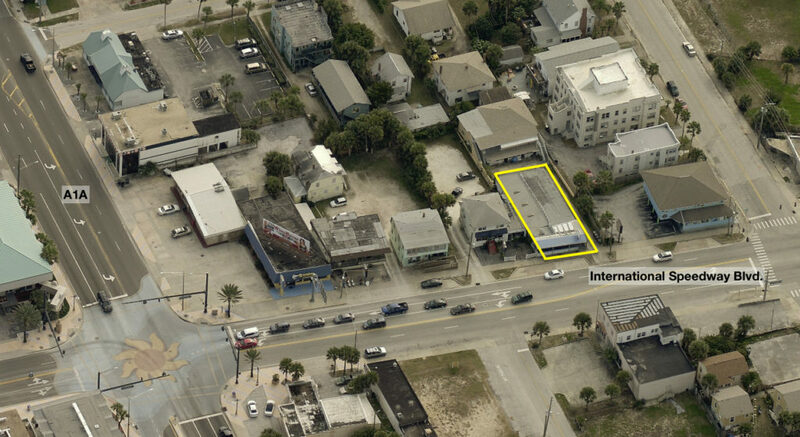 SVN Alliance is proud to announce the sale of 3411 S. Atlantic Ave. The 1.04 acre property in Daytona Beach Shores sold for $2,400,000. The site is located directly north of the Dunlawton beach approach. Tim C. Davis represented the parties on this transaction. 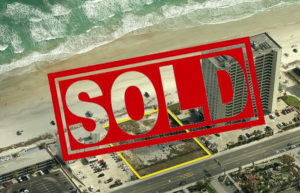 The Seller was Legacy Group of Georgia LLC, and the Buyer was Daytona Beach Shores LLC. 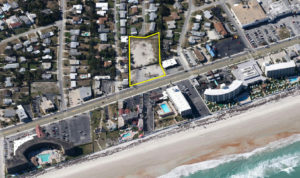 This represents the first oceanfront land sale since September of 2016, the sale of 749 S. Atlantic in Ormond Beach, also transacted by Mr. Davis. 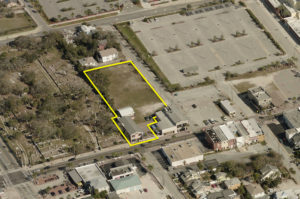 Development sites such as 3411 S. Atlantic are becoming increasingly scarce in the Daytona Beach Market and these sites provide a unique opportunity to shape the future of the Daytona skyline. 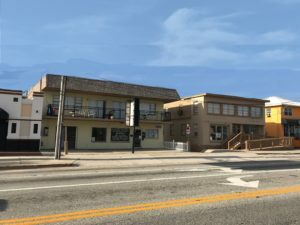 SVN Alliance just listed the old Shark Lounge and the convenience store on the corner of International Speedway Blvd and A1A. The Shark Lounge and the convenience store properties are being sold as a package and the total land area is .43 acres. These parcels are centrally located in the heart of Daytona only .5 miles from the Daytona Beach Convention Center and the Daytona Beach Hilton. 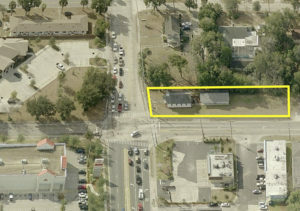 This is a perfect opportunity to own one of the few corner parcels in the Daytona market. The asking price is $2,050,000 call for more information. SVN Alliance is offering +/- 7,500 SF for lease in 705 Fentress Blvd. The leasable area is the rear 2/3 of the building. The space features 450 SF of office space, and two ADA restrooms. Three 10×14 bay doors, above grade, one with a hydraulic leveler and the other two have a ramp parallel to the building for forklift access. Building has 800 amp power, 18’ clear height, and a 75’ truck court from the building to the property line. Metal Halide light fixtures in the shop with skylights provide excellent lighting. Current tenant in 1/3 of the building would be willing to relocate to the rear portion of a prospect wanted the front space with more office space and mezzanine storage above.